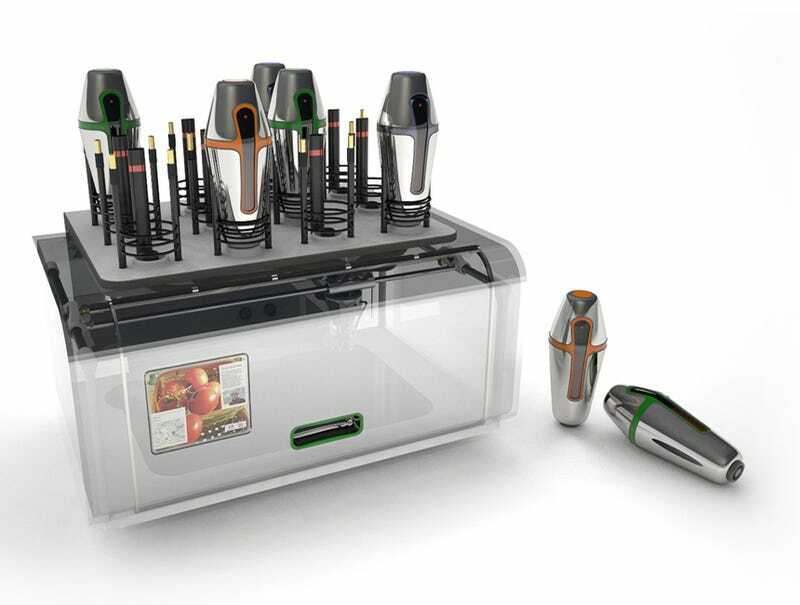 Cornucopia's cooking process starts with an array of food canisters, which refrigerate and store a user's favorite ingredients. These are piped into a mixer and extruder head that can accurately deposit elaborate combinations of food. Marcelo Coelho and Amit Zoran, the students behind the project at MIT's Fluid Interfaces Group, say that this printer will give "ultimate control over the origin, quality, nutritional value and taste of every meal." It will also make it look and feel like crap, I'm sure. But it's ok, because there's one layered food that can be synthesized without trouble with this thing: Bacon.